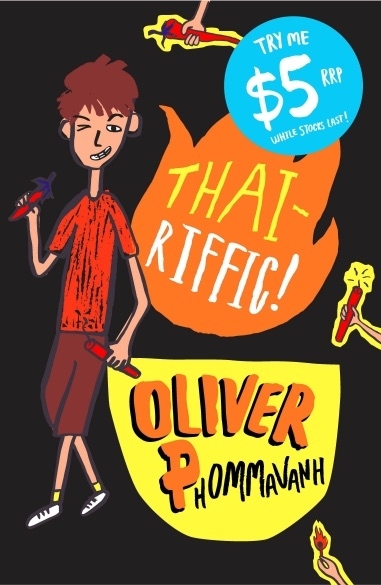 Oliver Phommavanh is an author, primary school teacher and stand up comedian – the perfect skill set to produce a great series of books for kids. They begin with Thai-riffic which follows Albert otherwise known as Lengy who is a fake Aussie – he looks Australian but smells like Thai food (delicious!) because he lives in a Thai restaurant. Unfortunately his favourite food is pizza. Lengy starts a new high school, makes new friends and a wacko teacher. It’s a crazy stir-fry adventure with lots of laughs. Other titles include The Other Christy, Thai-no-mite, Con-Nerd, and the latest Natural Born Loser. The perfect pick off the kid’s menu for those who have read all Diary of a Wimpy Kid, Tom Gates and Tom Weekly. This week’s chef’s special is Thai-riffic at the bargain price of $5 only. Get them while they’re hot! 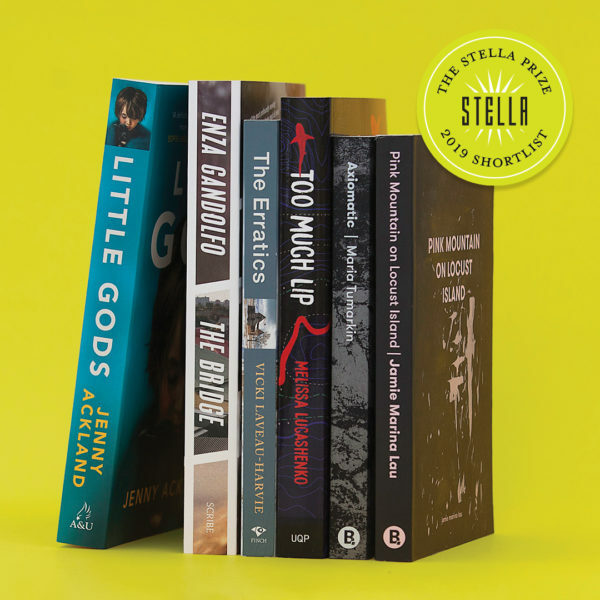 Tonight is one of the most important dates in the Australian literary awards – it’s almost time to find out who has won The Stella this year. Established in 2013 by a great group of publishing and literary women, it was designed to address the fact that women authors and their books tend to get overlooked in published reviews and literary prizes. Past winners include Carrie Tiffany, Charlotte Wood, Clare Wright, Heather Rose, Emily Bitto and Alexis Wright. 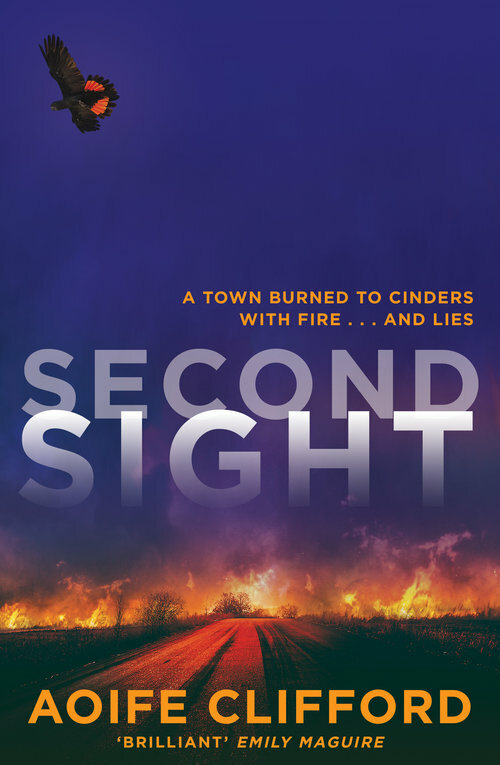 In the words of Chair of the 2019 Judging Panel, Louise Swinn, “The books on this shortlist inform and entertain, and while they speak absolutely to our moment, their insights are timeless.” Those shortlisted books are Axiomatic by Maria Tumarkin, Pink Mountain on Locust Island by Jamie Marina Lau, Little Gods by Jenny Ackland, The Erratics by Vicki Laveau Harvie and finally The Bridge by Enza Gandolfo. Enza will actually be joining Loretta Smith in store for our next Opening Pages event on 1 May. Congratulations to all the shortlisted authors and may the best book win! And just in time for the school holidays a brand new Wimpy Kid book from Jeff Kinney. 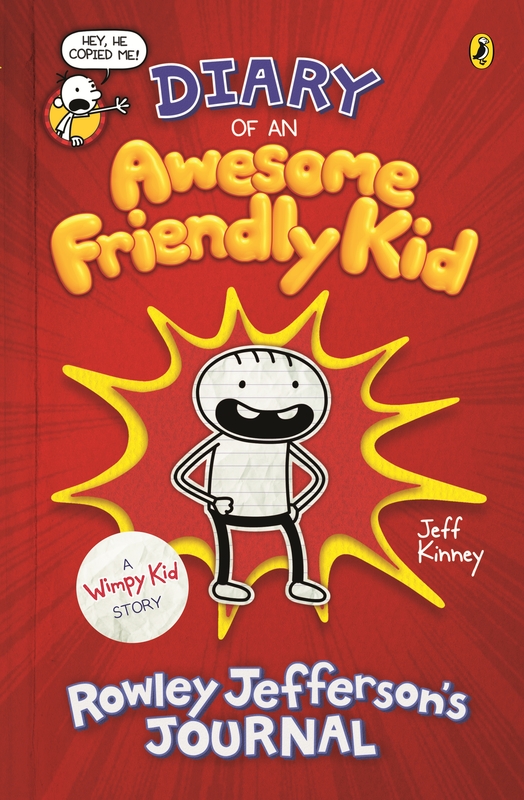 Titled Diary of an Awesome Friendly Kid, this time Greg’s best friend and much cheerier person, Rowley Jefferson is writing his diary but Greg soon manages to convince him to write his biography instead. Over 200 million copies have been sold in the series because they are just a perfect blend of words and pictures. I could always tell when Wimpy Kid was being read by my children from the chortles of laughter. We keep all the series in stock. Highly recommended for readers 8 and up. Just a reminder for Opening Pages tomorrow night – Wednesday 7pm. Our guests this month are Stuart Kells, a prize winning author and historian, and Elke Tampe, a writer of historical fiction. Stuart is an authority on rare books and an expert on print culture and will be chatting about his two latest books The Library – A Catalogue of Wonders and Shakespeare’s Library – Unlocking the Greatest Mystery in Literature which will be fascinating. Elke is the author of Skin and Songwoman, two works of historical fiction set in Iron Age Britain at the cusp of the Roman Invasion. Like Stuart her work has been published widely overseas and we are delighted that she can join us for what will be a wonderful night of bookish discussion. Its not too late to RSVP either via Facebook or 90174748. See you there! As the days grow a little cooler, the only thing better than curling up with a book is chatting to their authors. 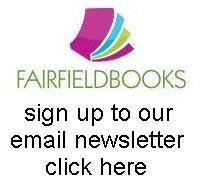 This month we have two wonderful Australian authors – Stuart Kells and Ilka Tampke. Stuart is a walking encyclopedia on print culture and is an authority on rare books – so the perfect person for book lovers to hear from. 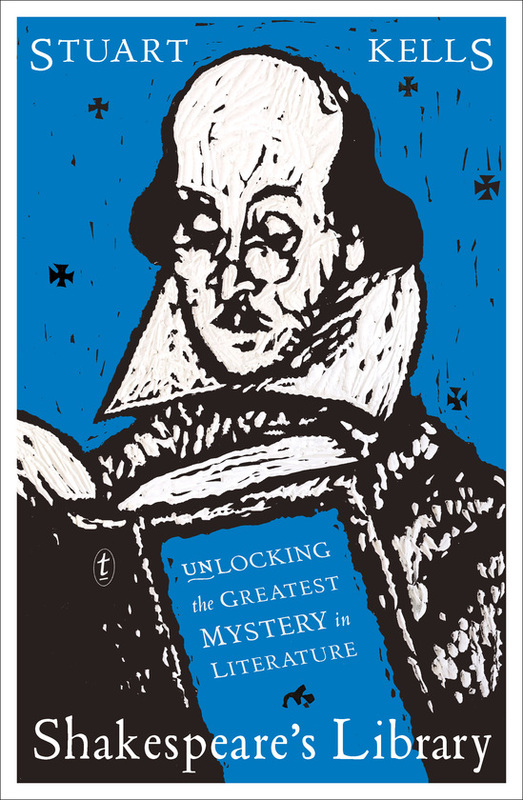 In his latest book he becomes something of a literary detective by attempting to unlock one of the greatest mysteries in all of literature – searching for Shakespeare’s Library. This is much more than a treasure hunt or fusty academic interest, it actually has profound implications for literature, for national and cultural identity and is at the cross section of art, history, meaning and truth. Joining him will be Ilka Tampke, an Australian author with a deep interest in Iron-Age Britain during the Roman Invasion. She has written two books – the first Skin which has been published around the world. Her latest Songwoman follows Ailia who has had her home destroyed by Romans and heads up to remote Welsh mountains in search of the rival war king, Caradog, who is leading a guerilla campaign against the encroaching army. There may not be dragons, but fans of George R. Martin waiting for the new Game of Thrones series to begin, might want to pick up one of Ilka’s books which incorporate a brilliant sense of place and a great love of history. You can RSVP by ringing, emailing or on our Facebook page. Opening Pages is back next month with another two fabulous authors. 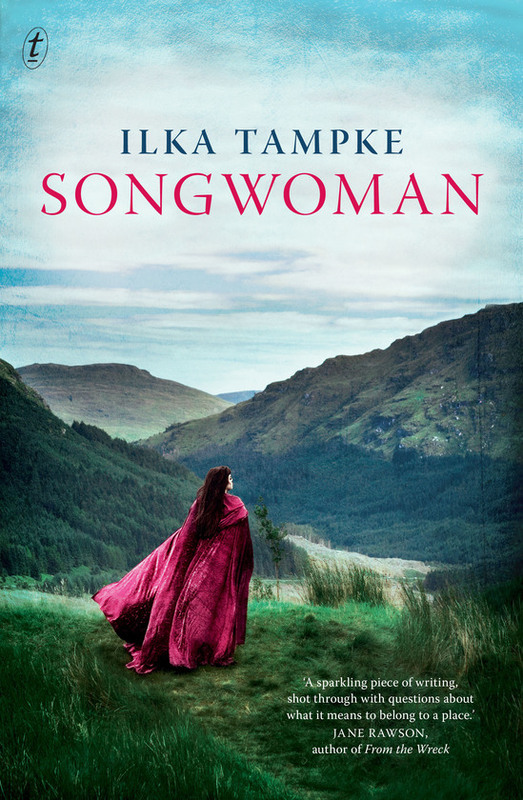 Ilka Tampke‘s historical fiction novel Songwoman takes the reader to Wales in Iron-Age times. After a Roman attack that destroys her home, Ailia flees to remote Welsh mountains and meets up with the charismatic war king Caradog who is heading a guerilla campaign against the Romans. A vividly written book that will sweep you into a different landscape in a far off time. Stuart Kells would be the perfect dinner guest with a swag of acclaimed non-fiction books on a myriad of subjects but a special interest in the printed word. He has documented the publishing revolution that is Penguin Books, written about unexpected histories and secret treasures of libraries in The Library – A Catalogue of Wonders and his latest is about a very specific library – one belonging to William Shakespeare. Shakespeare’s Library is a captivating exploration of literature’s most enduring enigma. This should be a wonderful night of discussion so come and join us for a glass of wine or something softer and be part of it. Please RSVP to the shop on 90174748 or on our Facebook page. 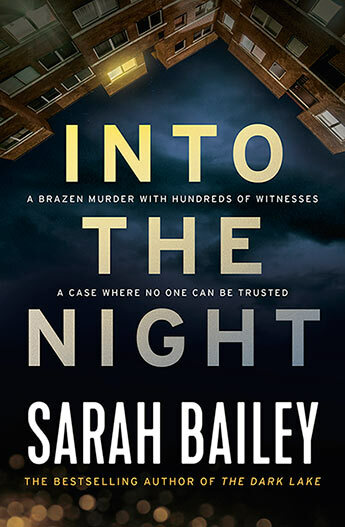 Come along this Wednesday 7pm to chat with two Queens of Australian Crime – our own Aoife Clifford and crime writing super star Sarah Bailey. Both bestselling authors, Aoife has two stand alone novels All These Perfect Strangers and Second Sight, whereas Sarah’s formidable but flawed policewoman Detective Sergeant Gemma Woodstock appears in The Dark Lake and Into The Night. Ever wanted to know what it takes to write a novel? What it is like being published around the world? Where do they get their ideas from? What’s the transition between novel and movie? All these questions and more will be answered on Wednesday while we have a glass of wine or something softer. Please RSVP on 90174748 so we have the right amount of glasses ready. See you there!